I recently had the privilege of presenting a copy of the new Anatole Krasnyansky book to the Hermitage Museum in St. Petersburg, Russia. 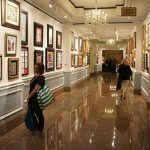 Nearly 80 Park West collectors accompanied me to this momentous event in July—all part of a special art collector’s cruise hosted by Park West aboard the Celebrity Constellation. The Hermitage’s Head Administrator Svetlana Suprun and Administrator Lidia Komissarova were there to accept the book on behalf of the museum. Anatole Krasnyansky, a Ukrainian-born American artist, worked at the Hermitage as a young architect. Several illustrations of his projects appear in the new 349-page hardcover book, published by Park West Press. 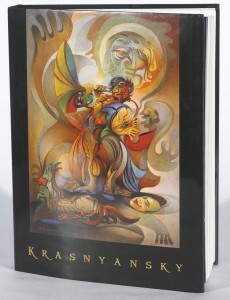 The book chronicles Krasnyansky’s life and artwork, with an introduction written by me and an article by noted art historian, Eleanor Hight, Ph.D. It also includes a fully-referenced catalog raisonné of the artist’s graphic works, spanning over 35 years. I was honored to write the introduction to the book, and to have it accepted into the library of one of the greatest museums on earth is an amazing privilege and high point of my career. I am so happy for Anatole Krasnyansky, who has worked tirelessly his entire lifetime creating his artwork, and who now has this further accolade added to his impressive accomplishments. Pictured with Morris Shapiro, Park West Gallery Director (center), are the Hermitage’s Lidia Komissarova, Administrator (left), and Svetlana Suprun, Head Administrator (right), among a group of Park West collectors. 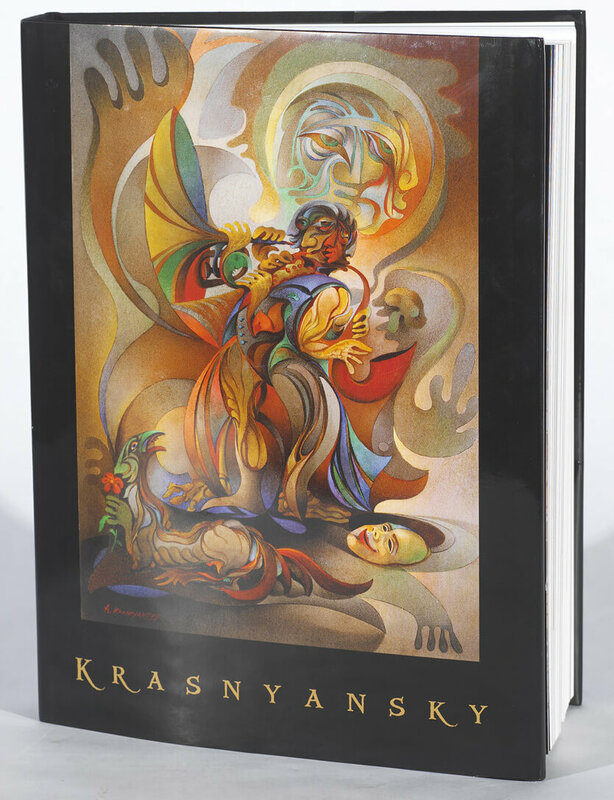 The “Krasnyansky” book is now available for purchase through Park West Gallery and may be ordered by calling 1-800-521-9654 x 2. 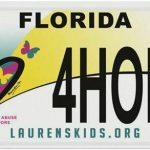 Can I get one Autographed? I have an original Krasnyanski painted in 1970. I don’t see it in any of these photos and I forgot the name. Help! Hi there. Thanks for the note. Give a call to customer service or email the the image at custsvc@parkwestgallery.com.